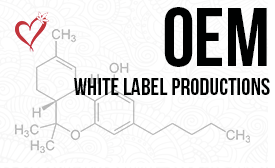 Weedlove is a young company started in 2017 with the mission of develop, select and spread the new market of CBD related products. 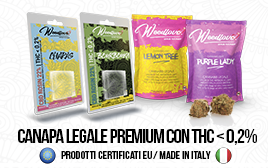 We are one of the most important companies in Italy with a large selection of legal weed strains compliant with Eu laws. We select, produce, analyze and sell only premium products, to give our customers only the best from the legal cannabis market. CBD, CBN and all other molecoles in marijuana light are the future of a new concept of wellness and wealth.